A Fantastic turn out of Royal Cork Laser Sailors and their extended entourage of supporting family members in Galway this weekend for the 2016 Laser Nationals. A total of twenty four of our sailors competed on the water which was by far the biggest representation of any yacht club at the event and highlights how the class is going from strength to strength in our club. Despite losing two days of racing due to high winds and a large swell, the series was completed over four races across the four day event. 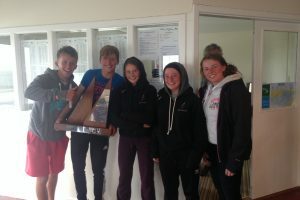 In the Radials Johnny Durcan sailed a stormer of an event and is now the National Champion and heading to the Youth Worlds being held in New Zealand in December. Well Done Johnny. 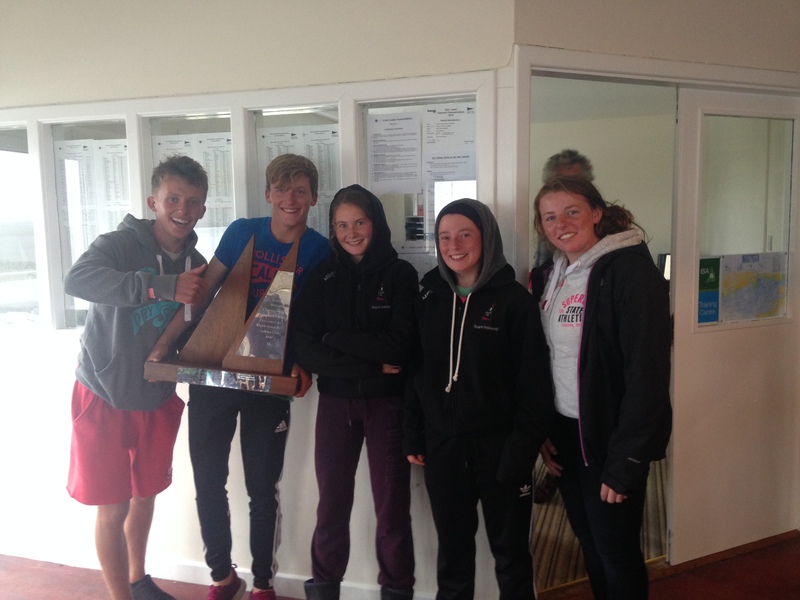 Our other Radial Sailors on the water were Ronan Walsh, Luke Mc Grath, Tara Coveney, Paddy Cunnane and Chris Bateman who all did very well in very flukie conditions. Our ‘usual suspects’ Nick Walsh & Eddie Rice competed in the standard class and they were joined by Patrick Coveney and brothers Simon , Tony & Andrew; Four members of the same family competing at an Nationals in the same fleet may well be a first and fantastic to see it. Both Nick & Andrew had their names called out during the prize giving. Our 4.7 sailors included Patrick Daly, Tom Keal, Molly & Mia Murphy,Christopher & Jamie Mc Donnell Lettice ,Amy Carroll, Maeve O Sullivan & Cian Jones. Mikey Carroll was 6th over all in the 4.7 fleet with Caoimhe Foster getting 2nd lady and 7th overall and Rebecca O Shaughnessy getting 3rd lady and 10th overall. Special thanks as always to laser parents Brain Jones , Mike Carroll and Denis Murphy who offered valuable support to all sailors on the water throughout the event.